currently under construction at 5414 Crenshaw Boulevard, Los Angeles. Leases for available units range in price from $473 to $1,014. The Curve @ West Angeles has a total of 70 units. 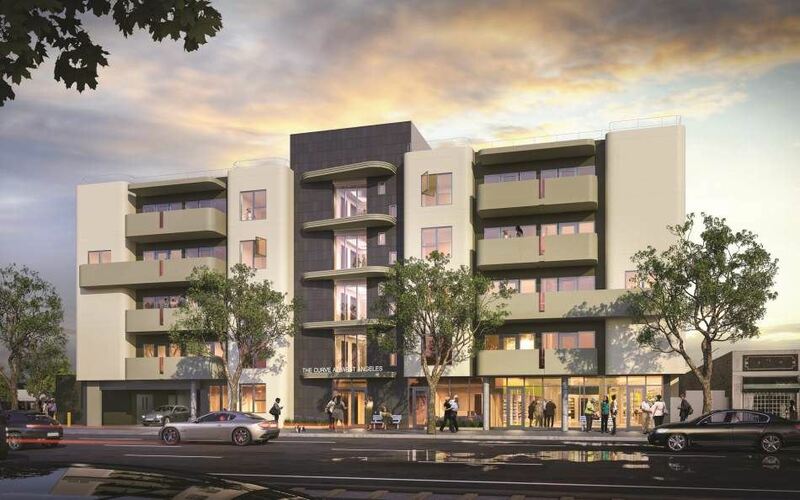 Located on a .52 acre site in the Park Mesa Heights neighborhood of Los Angeles, The Curve at West Angeles will be an affordable mixed-use development with 70 apartments for low and very low income seniors over 2,000 square feet of neighborhood serving retail. The development will include studio and one-bedroom apartments, a resident lobby, a 1,059 square foot community room with kitchen, a 784 square foot central courtyard, common area laundry facilities, bike lockers and bike repair room. The Curve is a joint venture partnership with West Angeles Community Development Corporation, who will provide on-site social services. Your inquiry will be delivered to the developer / builder of The Curve @ West Angeles, who will send you more information about this development.